Michael Ben-Meir: “As an emergency department administrator, it’s been rewarding to see the gradual evolution of digital health records. I can now instantly find and read information from anywhere I have internet access. This information was previously illegible or unavailable for hours or days. My pharmacy team can track medication usage and requirements. Network bed managers have instant access to the needs of emergency patients. Inpatient colleagues offsite can look at results, notes, and images while they discuss the patient with emergency staff. While we would all like electronic systems to undertake more tasks and streamline operations automatically, the reality is that current attempts at this are still in their infancy and nowhere near ready to be rolled out. When we started this work, we were surprised that despite scribes being used in America for decades, there were no randomised, multi-site studies on their effect on emergency physicians’ productivity. We faced some challenges with this project as a consequence of locally introducing a new role to the health system, but, happily, all were surmountable. We needed to train scribe cohorts, employ them, and implement scribe programmes. This was relatively straightforward using a combination of local resources, internationally available consultants, and web based education programmes. Most importantly, funding was sourced after this had initially proven to be a barrier. What is rarely mentioned in research that looks at the economic outcomes of using scribes is the potential benefits it can bring to the scribes and their physicians. Scribes are usually health trainees who get access to meaningful paid work, while accessing an apprenticeship alongside specialists. Physicians have a more productive and satisfying experience at work, using their skills and training when a scribe is present, despite seeing more patients. It is possible that this role may mitigate physician burnout. Given that, at worst, scribes are cost neutral with significant associated qualitative benefits, we’d say that their introduction is an important step for any complex, digitised health service to take. Patients and doctors would both like more access to each other and scribes can enable this. Acknowledgment: We would like to give special thanks to Brian Clare, formerly of eScribe; the Cabrini Foundation; and the Phyllis Connor Memorial Trust, managed by Equity Trustees, for understanding the need and vision of the project. 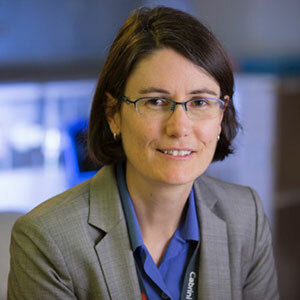 Katie Walker is the director of emergency medicine research at Cabrini Hospital’s emergency department and an adjunct clinical associate professor at Monash University, Australia. Competing interests: See linked paper. 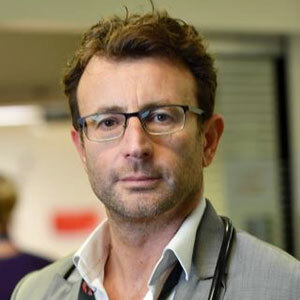 Michael Ben-Meir is the director of emergency medicine at Cabrini Hospital’s emergency department, chair of Safer Care Victoria’s Emergency Clinical Care Network, chair of the ACEM private practice committee, and an adjunct senior lecturer at Monash University, Australia. Tim Spector: Breakfast—the most important meal of the day?